NEW ROOF! This home has been well maintained and is in the quiet Ashford Park neighborhood. 3 bedroom, 2 bath & Bonus room, split floor plan with an upgraded kitchen! The kitchen is equipped with granite counter tops, counter height bar, built in shelving, and a oversize sink! 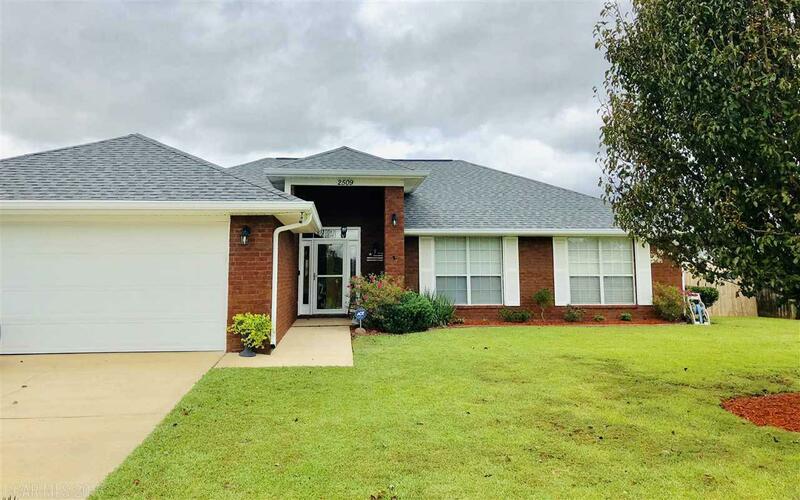 The home is also equipped with a walk-in shower in the master bathroom, 2 car garage, screened back porch, storage shed, gutters, and a above ground pool! NEW ROOF- Replaced in 2018, Kevlar Hurricane Shutters. This home is minutes from Tanger Outlets, OWA Amusement Park, YMCA, Parks, Dining, and more! Only 10.5 miles from the Gulf Shores Public Beach!